Benefits of Every Door Direct Mail (EDDM) Services Marketing through Every Door Direct Mail or EDDM service is a sure route to keeping everyone in the neighborhood up-to-date regarding your business, without you having to roll out a sizable marketing budget. Whether you have a grocery store or a bank to run, EDDM comes with significant benefits. Manageable Price Local marketing has never been so cost-effective until EDDM. The brochures’ and flyers’ design and the general layout can be produced in-house by your own staff, saving your business a lot of money and allowing you to focus on the delivery of the postcards. EDDM postage rates can be as low as $.175 cents, making it unbelievably affordable for businesses that want to implement a local promotional campaign. Plenty of times, you might be forced into buying a mailing list so as to reach out to homes within your neighborhood. Using EDDM, the process is plain and simple. The mail carrier brings the message to each household found on the route, not needing any particular addresses. What this means is that your business can penetrate a whole community, with the mailing ending up in the hands of the consumers themselves. All that is needed is for you to define the carrier routes and dropping date or dates, and the USPS will ensure the direct delivery of the message to each and every door that is included on that route. Zero Postal Limits Direct mailing will usually involve buying a postal limit, costing a business a huge amount just to be able to open the account. With EDDM, mailings of 200-5,000 pieces will not need a postal permit. 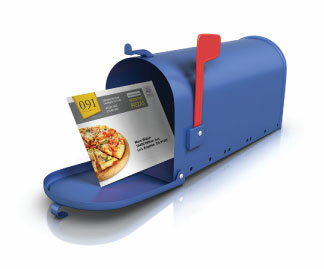 The USPS provides a certain EDDM permit which a client can add to their mailer pieces. This special permit ensures that the postcards will not go with the mass mailings. Definitely, this goes a long way in terms of cost saving. Convenient Mailing Size The EDDM mailer requires a bigger flat. A piece should be between 5.875×11.5 inches and 12×15 inches. In other words, EDDM provides you a flexible range of sizes, making it suitable for anything, from a lengthy product description to a quick sales announcement. Also, it is targeted to satisfy a business’ specific marketing needs. Adequate Space for Business Message With EDDM, you just need to provide a minimal space for the EDDM indicia, endorsement and an address. As for the rest of the space, you can include calendar events, maps, coupons, or whatever will help attract customers to your business. Whether the marketing message is promoting sales and events, announcing grand openings or even sending out coupons and special offers, there is so much of space for all this to be included. Cost Efficiency As you might know, advertising can be so expensive, particularly for a small business. Using EDDM, you are able to effectively reach a big number of prospective customers not having to spend much on other advertising methods. The Huge Benefits Of NBCOT NBCOT is the National Board for Certification In Occupational which is known to provide occupational therapy to various individuals. Occupational therapy is the therapy that is given to individuals who are recuperating from either physical or mental diseases, this type of rehabilitation is important to an individual for normal functioning of their daily life Occupational Therapy is the treatment that is given to people who are recovering from either physical or mental illnesses, this sort of restoration is imperative to a person for ordinary working of their everyday life Occupational Therapy is the treatment that is given to individuals who are recuperating from either physical or emotional sicknesses, this kind of reclamation is basic to a man for conventional working of their consistent life. NBCOT was set up with the point of giving confirmations to people who might wish to hone word related treatment. Before taking the nbcot exams, understudies are offered test exams whereby the understudies can take the trial exams in preparation of basic examinations. Aside from word related treatment courses, word related treatment has a few advantages to individual, particularly people who have and are recovering from mental maladies. Occupational therapy is aimed at improving the physical ability in children so that they can be able to carry out their daily self -care duties Occupational Therapy is gone for enhancing the physical capacity in kids with the goal that they can have the capacity to complete their everyday self – mind obligations Occupational Therapy is a way to enhance the physical limit in children with the objective that they can have the ability to finish their consistently self – mind commitments. It also promotes enhancement of social skills development in school in that the child will be able to socialize and interact with other children in school without them feeling that they are different from other kids. Occupational therapy also helps in educating the family and even the teachers at school the different needs of the child and how to handle any type of situation that may occur when they are with the child and this way the child will feel safe and loved which is also good for a child’s development Occupational Therapy likewise helps in instructing the family and even the educators at school the diverse needs of the kid and how to handle any kind of circumstance that may happen when they are with the kid and along these lines, the tyke will feel protected and cherished which is additionally useful for a youngster’s advancement Occupational Therapy similarly helps in teaching the family and even the instructors at school the different needs of the child and how to handle any sort of condition that may happen when they are with the child and thusly the tyke will feel ensured and appreciated which is moreover valuable for a youth’s progression. Occupational therapy also helps children to develop hand and eye coordination which is an essential skill for learning in pupils as one of the learning processes involves a child looking at the blackboard and reading whatever has been written by the tutor and also writing it down in their notebooks Occupational Therapy additionally helps kids to create hand and eye coordination which is an extremely vital ability for learning in understudies as one of the learning procedure includes a kid taking a gander at the board and perusing whatever has been composed by the coach furthermore recording it in their notepads Occupational Therapy moreover helps children to make hand and eye coordination which is a to a great degree crucial capacity for learning in understudies as one of the learning strategies incorporates a child looking board and examining whatever has been made by the mentor besides recording it in their notebooks. It likewise shows kids on the most proficient method to touch and this is particularly done to children who have experienced cerebral paralysis and they can’t have the capacity to utilize their hands, yet with the organization of word related treatment a youngster can utilize their hands to touch things and they can even have the capacity to compose consequently they won’t experience serious difficulties school as they can have the capacity to do what different children can do.